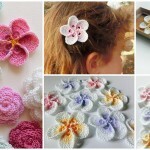 We have met many Crocheters and we think all of them are in love with flowers and in crocheting flowers. 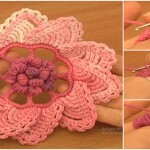 If you Like crochet flowers too we have great tutorial found for you. 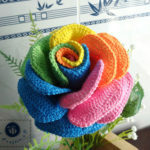 As our cultures saying Roses are kings of the flowers. 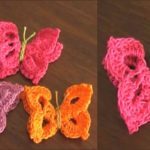 Today we have free video tutorial where you can learn how to crochet king. 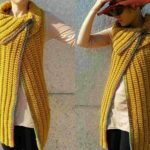 Look at these pictures and you will see. 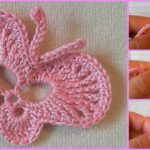 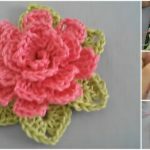 We think that these easy to crochet roses will be perfect as appliques on your clothes and accessories. 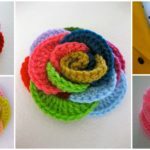 You can also add these roses on hair accessories and make your look more cute and attractive. 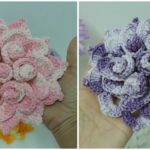 Video tutorial is not in English Language, but we hope you will follow hands of author and everything will be clear. 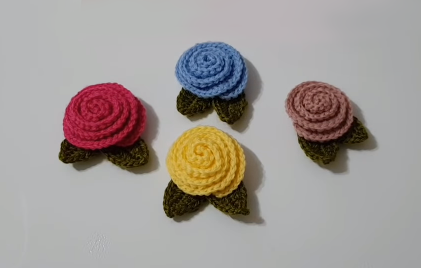 Good luck and hope you will enjoy.